The threat and risk environment has evolved rapidly in the past five years, with an increase in active threat actors and an escalation in the sophistication of their techniques – dictating an intelligence-driven Security Operations Center (SOC). An intelligence-driven SOC goes beyond preventative technologies and the perimeter, and beyond events-based monitoring. It evolves and adapts because of the use of security intelligence that changes the scope and focus of security operations activities continuously. For rapid response, as much of the mundane work should be as automated as possible, and other human-augmented responses should be aided with decision support systems. In addition, the increasing growth of the Cloud, Internet of Things (IoT), Mobile and Digital Transformation are placing new demands on usability, scalability and enterprise-class features of cybersecurity analytics and operations products. Industry security experts believe that 2017 will be remembered as the year where cybersecurity analytics and operations encountered a wave of unprecedented scale. Companies are seeking to refocus their SIEM investment migrating towards a modular, extensible, flexible, scalable architecture that leverages more of a holistic and hybrid Security as a Service (SaaS) also emerging as SIEM in the Cloud. These and other parallel trends are driving massive growth in the amount of data we need to collect, process, analyze, and store for cybersecurity analysis and operations. Since it becomes impossible to centralize all security data, enterprise organizations will rely more and more on Security Operations and Analytics Platform Architecture (SOAPA) software to integrate distributed security data and analytics functions. In other words, some security analysis (i.e. 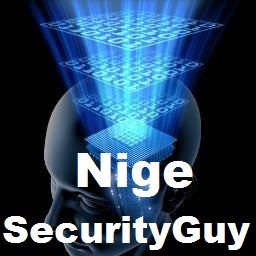 threat intelligence research, EDR, malware analysis, etc.) will remain discrete, but SOAPA will act as an overall bridge for visibility across all the data for all analytics regardless of the data’s location. Why SOAPA? Today many midsized and large enterprise customers have far too many disparate security point tools and simply can’t manage them effectively anymore. These organizations are consolidating to common platform architectures in two areas: information risk and protection and SOAPA. SOAPA represents an opportunity to increase industry innovation and ultimately deliver a security architecture that allows organizations to increase productivity, accelerate actions streamlining day-to-day security operations. In the past, most enterprises anchored their security analytics and operations with one common tool: Security Information and Event Management (SIEM) systems. But unlike the past, SIEM is one of several security tools within SOAPA, and these technologies must be designed for asynchronous cooperation so security analysts can quickly pivot across tools to find data and take action as they need to in real-time. SOAPA is an architecture that sits “above and below the SIEM.” Things like probes and data collectors lie below the SIEM, while advanced analytics and security operations services like user behavior analytics (UBA) sit above and can help provide advanced SIEM functionality. SOAPA drivers. Why are enterprise organizations moving toward SOAPA? Customers are stating that they cannot stay ahead in security operations using a collection of point tools when they are facing a dangerous threat landscape and a shortage of cybersecurity skills on their teams. According to the recently published 2017 ESG IT spending intentions survey, 45 percent of organizations report a “problematic shortage” of cybersecurity skills. SOAPA must supplement people with integration and intelligence. Customers don’t need more tools; they need their security technologies to add integration and intelligence so they can improve security efficacy, efficiency and productivity. Security analysts are pursuing numerous new investigations on a daily basis and simply can’t keep up with the volume. Organizations are stating they cannot stay ahead in security operations using a collection of point tools when facing a dangerous threat landscape and a shortage of cybersecurity skills on their teams. Today’s enterprises can generate millions of security events every day and these events must be collected and analyzed around-the-clock to detect actual or pending attacks. Conventionally, organizations have staffed Security Operations Centers (SOCs) and deployed SIEM technology as the corner-stone of their security event monitoring programs. However, today many forward thinking enterprises are adopting hybrid plug-and-play models where some or all of these functions are outsourced to service providers. Situational Awareness is critical, i.e., the ability to detect with precision and quickly respond to real threats. The ability to Detect with Precision (minimal false alerts) requires security operations process maturity and skilled resources. Why Outsource Security Event Monitoring? Cyberattacks are constantly morphing as hackers exploit new vulnerabilities and create new variations of malware. Service providers are often the first to see new attack vectors and techniques as their customer base encompasses organizations in many different industries and locations. Compared to individual enterprises, users of a managed security service may also benefit from more sources of third-party threat intelligence feeds and advanced correlation analysis between threat intelligence data and other suspicious behavior. Overall, improved threat visibility increases the chance of detecting and preventing a cyber breach. These data points underscore the importance of having sufficient human security experts available 24×7. Service providers augment the existing team of SOC analysts and can often more effectively filter and correlate security events to present SOC analysts with better data. Outsourcing monitoring tasks also improves the morale of existing employees and allows them to focus on other priorities. Organizations seek SIEM SaaS solutions to assist with staffing security teams on a 24/7 basis, they do not have a dedicated Security Operations Center (SOC) or the ability to staff three shifts of engineers year-round. Overall a hybrid security solution prioritizes, organizes and offers comprehensive reporting on the customer environment, bringing situational awareness and manageability over the large volume of alerts and cases generated in the customer’s environment. Organizations are increasingly concerned that historical industry best-practices are being stressed by the acceleration of new malware and the increasing reports of compromise via stealthy targeted attacks. Attackers are laser-focused leveraging indirect and multi-pronged exploits to steal data or wreak havoc. The insider threat has primarily morphed into phishing attacks which can leverage multiple internal security weaknesses and vulnerabilities to traverse the network and ex-filtrate data or intellectual property un-detected. At the same time the attack surface is broad since security is horizontal and increasingly distributed – it covers many threat vectors across all extended business functions and essential services throughout the whole multi-location information technology and building infrastructure. Chances are that when the infrastructure was originally deployed it was secure, clean and, well organized. But as weeks, months, and even years pass, tactical changes in technology and the IT environment have probably occurred, weakening the security posture and opening it up to attack. The result is that security infrastructure becomes much more complex and fragmented making it harder to protect. Attackers don’t discriminate and will take advantage of any gap in protection to reach their end goal. The bad guys continually evolve and innovate. All potential threat vectors need to be holistically examined and addressed across the extended enterprise. Without a proactive but practical security strategy and vital life cycle management processes in place – the system will inevitably become vulnerable and fail. The terms “advanced persistent threat” (APT) and “defense in depth” have been completely overhyped in the press and are distracting organizations from the very real problem of managing targeted attacks in a rational and balanced fashion. Many organizations lack a complete understanding of defense in depth which limits budget and can lead to revenue impacting events. Many well-intended vendors seeking to position their solutions confuse the concept of defense in depth even further. Defense in depth requires a strategic security approach that is adaptive, establishes business-driven rules and — leverages people, process and systems harmoniously. 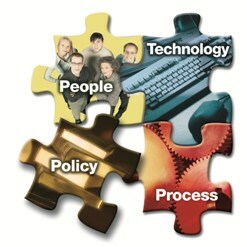 Integration is vital as a holistic security management system. 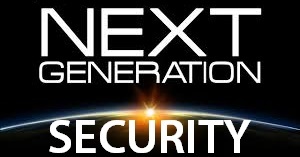 The Advanced Security Series of blogs will take a multi-pronged approach to effectively addressing this increasing threat together with associated significant challenges by establishing a practical core foundation that supports a clearer definition of defense-in-depth as well as discussing the advanced security best-practices and continuous improvement processes needed. How do organizations cut through the hype, filter the noise – of fear, uncertainty and, doubt (FUD) and deal with real and present threats? How do organizations develop an affordable and practical defensible security posture that supports the business based upon available budget and resources and – enables it to grow competitively while managing risk and protecting critical assets? 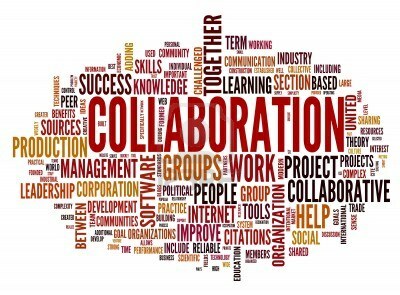 How do organizations develop a continuous cycle to consolidate, integrate and organize mission critical infrastructure into a sustainable core while still enabling healthy chaos = innovation and rapid deployment on the edge? The secret to success in security is typically simplicity, to have a well-designed and organized infrastructure that provides the appropriate layer of controls while enabling users a consistent ‘policy managed’ experience regardless of location, network transport or device. The challenge is in achieving and maintaining that goal. 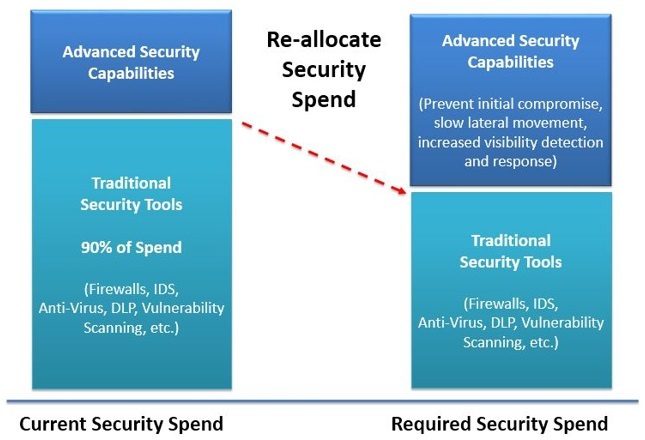 Security done right is a business enabler that dramatically reduces total cost of ownership (TCO) providing a tangible Return on Security Investment (ROSI). IT complexity and fragmentation replaced by an adaptive modular and flexible architecture enables agility and improves your competitive edge — so the business can refocus quickly as new opportunities emerge. The primary purpose of creating a security architecture is to ensure that business strategy and IT security are aligned. 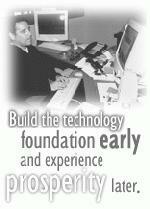 As such, the security architecture allows traceability from the business strategy down to the underlying technology. However, many IT organizations have moved away from formal security architecture governance in favor of rapid deployment cycles and tactical changes which over time risk diverging into complexity and fragmentation – with unresolved security exceptions. As previously stated, complexity not only leads to insecurity and the increasing potential for human error but also increased cost of operations. 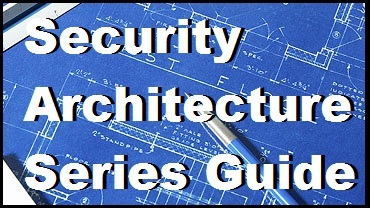 A security architecture is a design document describing the security components that will protect the enterprise, and the ways they relate and interact with each other. It represents a strategic planning horizon and guide that defines the desired state of an organization’s infrastructure. 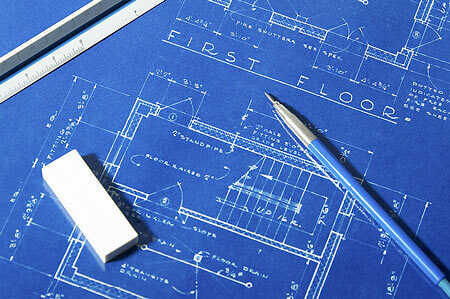 The architecture sets the context for planning, design, and implementation. It enables a company to evolve and to become agile, multi-functional, and competitive, allowing the seamless adoption of new capabilities and applications into a common infrastructure. 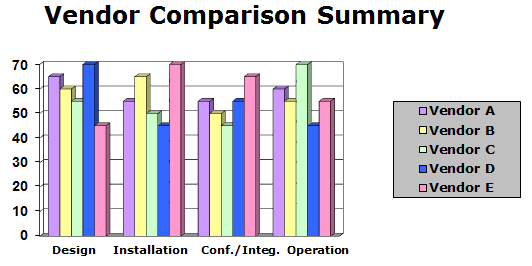 Security architecture also facilitates budgeting for security solutions and personnel. The security architecture is used as a baseline for consensus and direction but it needs to be active and capable of being updated. This process allows the security architecture to adapt and be agile to support the needs of the business. It evolves and sets future objectives. System technology and users, data and information in the systems, risks associated with the system, business drivers, and security requirements are ever-changing. 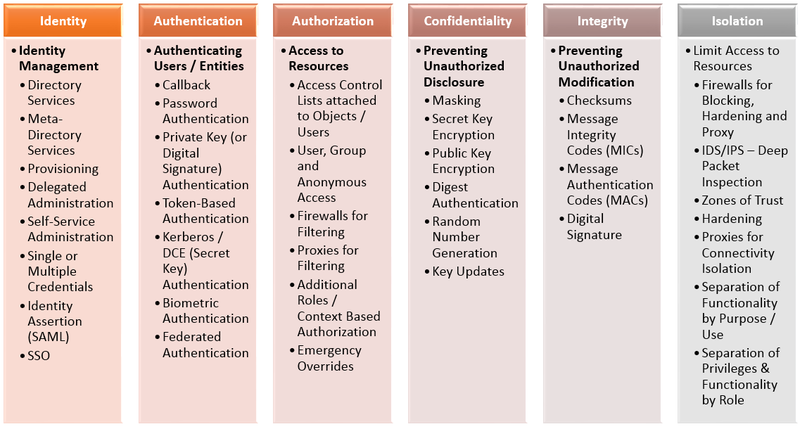 Many types of changes affect security: technological developments (whether adopted by the system owner or available for use by others); connection to external networks; a change in the value or use of information; or the emergence of a new threat. Creating an adaptive modular architecture leads to agility and flexibility as the organization grows. At the same time, using the architecture to develop an annual plan sets the stage for the projects that need to occur that year, and the improvements begin to converge towards and track with the architecture. Finally, with the proactive asset, risk, and policy management and infrastructure improvements, the security-risk profile is also managed, resulting in risk reduction. In this manner, not only does the security architecture drive the IT and network infrastructure direction, but it also enables the illustration of tangible results, winning continued support for the program. In Advanced Security – Part 2 we will further develop the theme of building a core foundation leveraging architecture and design principles together with defining a defensible security posture leveraging defense in depth as well as discuss advanced security best practices. Multi-dimensional Targeted Threats continue to evolve and exploit vulnerabilities that lead to significant loss of data and resources for organizations of all regions and sizes. These attacks are very much today’s news. They represent a danger to an organization’s intellectual property, financial assets and reputation. Advanced targeted threats present challenges that are distinct from traditional security risks. There are too many entry points in today’s virtual enterprise, too many individual endpoint security solutions triggering alerts, too much security threat intelligence to process in real-time. More importantly, there are too few trained personnel who can spot and respond to advanced threats. The pain points all cry out for a common holistic solution: Advanced Defense based upon Actionable Intelligence and ever evolving Analytical Tradecraft to continually improve detection capability and precision. 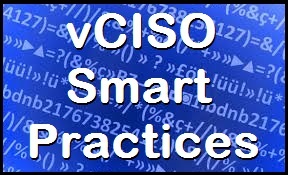 This blog is a part of the new Smart Practices Series complemented by the NG-OPS Advanced Security Series which will drill into greater details on the methodology and concepts used by these proposed advanced best-practices. 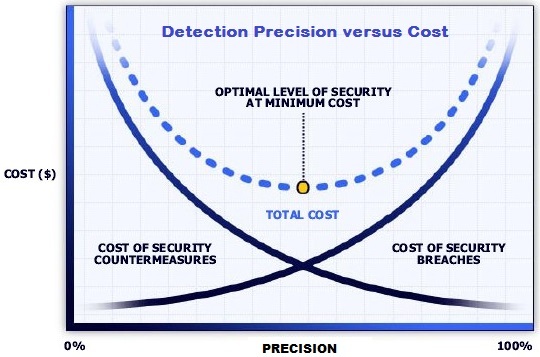 Advanced Defense takes your organization to the next-level of detection capability. Today’s cyber security paradigm is a reactive cycle: when a threat is exposed, it is analyzed and a counter-solution is designed with response times varying from weeks to years. The trouble is that attackers can easily reuse pieces of previous malware, modify them, and create a brand new threat, bypassing the newly updated security measures. In today’s threat environment the only constant is change. In fact, everything is changing – the way our users work, the types of adversaries we face, and the techniques hackers use to infiltrate our networks. Such threats have become even more sophisticated than ever, bringing new risks and uncertainties that require more visibility in operations. The need for an Advanced Defense mindset is evident across the industry. Technologies will continue to improve but in parallel we do need to ensure that we also evolve and improve our security detection capability and precision, processes as well as invaluable resources and skills. 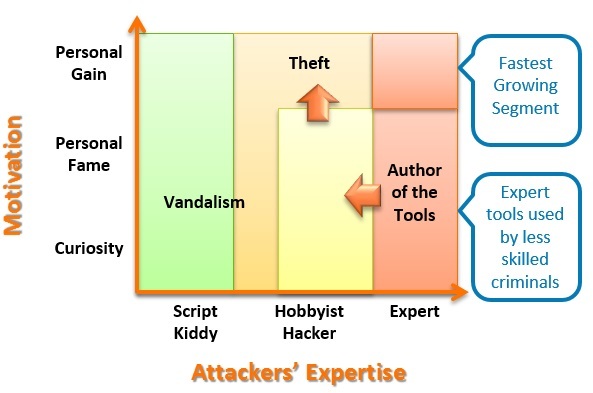 “Attackers are constantly evaluating their methods and improvising new techniques. Use a set of indicators or behaviors to enhance situational awareness. The Advanced Defense Posture assessment makes use of the Intrusion Kill Chain. In any targeted attack there are typically a pre-defined set of phases that act as a ‘signature’. The importance is not that this is a linear flow – some phases may occur in parallel, and the order of earlier phases can be interchanged – but rather how far along an adversary has progressed in order to be able to quickly detect, contain and, respond. The intrusion kill chain becomes a model for actionable intelligence to help align organizational defensive capabilities to the specific processes an adversary undertakes to target your organization. What scenarios do we need to be able to detect? What are our options for detecting them? What are the strengths and weaknesses of our detection program today? What is our detection stance against specific actors? What is our overall plan for detection across our enterprise? Recent incidents clearly demonstrate that cybercriminals can conduct operations that involve intrusion, lateral movement, and data exfiltration in complex networks secured to current best-practices. Attackers can adapt their attack techniques to the unique circumstances of targeted environment. This level of resourcefulness points to the realization that current best-practices and regulatory compliance are a necessary minimum baseline but are not sufficient alone. Today there is an increasing need for organizations to progressively evolve and advance from current security posture to a more defensible and advanced defense program with visibility, validation and, vigilance. My solutions include the adoption of a security architectural and design foundation approach that compartmentalizes breaches into managed zones on networks and on endpoints. 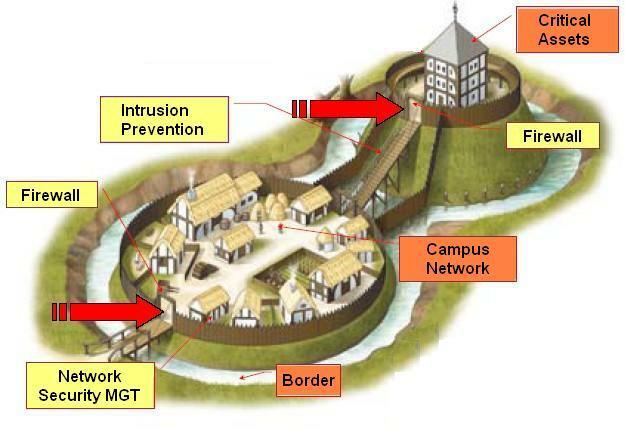 To strategically leverage the Adaptive Zone Defense series of blogs to develop an innovative architecture foundation with well-organized applications and services, managed communications and – good visibility to flows and logs that can actually detect the cyber kill chain activity and stop the breach. 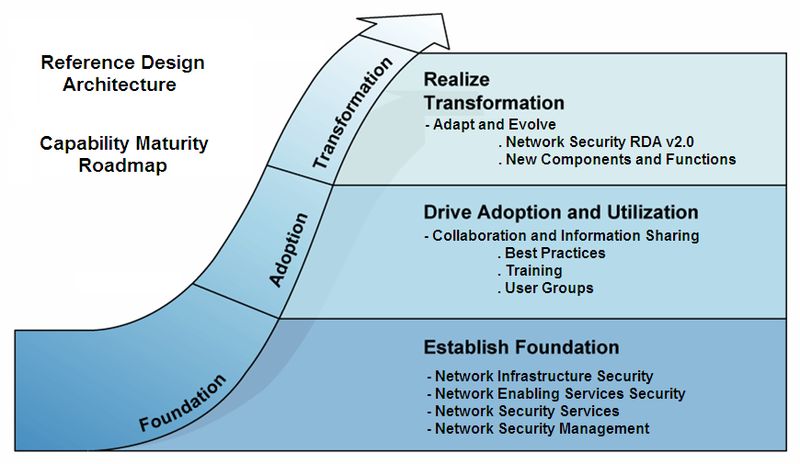 This requires an ongoing lifecycle process with evolving actionable intelligence and analytical tradecraft to take the now legacy, rapidly deployed and complex infrastructure to consolidate it into a new core foundation based on the architecture/design blueprint, while continually evolving the blueprint based on new business requirements, technology solutions and, regulatory requirements, for more information see: Adaptive Security Lifecycle. Today’s cyber security paradigm is a reactive cycle: when a threat is exposed, it is analyzed and a counter-solution is designed. The trouble is that attackers can easily reuse pieces of previous malware, modify them, and create a brand new threat, bypassing the newly updated security measures . There are too many APT entry points in today’s virtual enterprise, too many individual endpoint security solutions triggering alerts, too much security threat intelligence to process in real-time. More importantly, there are too few trained personnel who can spot and respond to advanced threats. The pain points all cry out for a common holistic solution: NG-OPS Advanced Defense. Many organizations suffer from a lack of detection capability and precision, holistic situational awareness and behavioral anomaly detection, i.e., visibility. There is too broad an attack surface, gaps in defense and, integration issues that together lead to reduction in the ability to detect, contain and respond to targeted attacks. Reason why attackers are continuing to be so successful. There is a growing need and urgency to evolve towards Advanced Security with a continually improving Detection, Containment and Response Capability. This is fundamentally due to cybercriminals doing their homework on organizations and waging a fierce, persistent campaign to find any possible way to get a foothold. Attackers have a fine tuned malware development process that is increasing in efficiency. Common intrusion detection methods are lacking in their ability to detect multi-step blended and targeted attacks. A targeted attack aka advanced persistent threat (APT) is a targeted effort to obtain or change information by means that are difficult to discover, difficult to remove and difficult to attribute. First – the bad guys get in. Always. It doesn’t matter if it’s social engineering, phishing, or some contractor organizations didn’t watch closely enough. Sooner or later they find the weak spot and they exploit it – despite all of the best plans to keep them out. Target retail stores learned this the hard way. Who would have guessed that an HVAC system could be a point of weakness? Install malware to steal credentials from Target’s HVAC vendor. Connect using stolen credentials, enables access to Target’s application dedicated to vendors. Exploit a web application vulnerability on Target’s Web interface enables the attackers to execute code on Web application server. Search relevant targets for propagation by LDAP querying Active Directory from the Web application’s server. Steal access token from Domain Admin of the previously connected Domain Admin from the memory of application server. Create new Domain Admin account using the stolen token in AD. Steal 40M Credit Cards. The data is extracted by the Kaptoxa malware from the memory of the POS system. Send stolen data to an FTP server in Target’s internal network. Send stolen data via FTP to attackers-controlled FTP server. Second – once they are in, organizations better figure out how to spot them. Developing, tuning, optimizing and evolving situational awareness and behavioral analysis allows network anomalies to be used to detect the different stages of APTs using various indicators. In NG-OPS Advanced Defense – Part 2 we will further develop the concept of developing and evolving an Advanced Defense security posture that identifies any gaps, improves detection capability and precision, enables proactive defensive measures to address unknown threats and — holistically integrates and operates continuous intelligence, detection and, response. This new NG-OPS Strategy Guide builds upon and enhances the current APT Strategy Guide and Security Architecture Series Guide introducing a whole new set of topics into the framework.